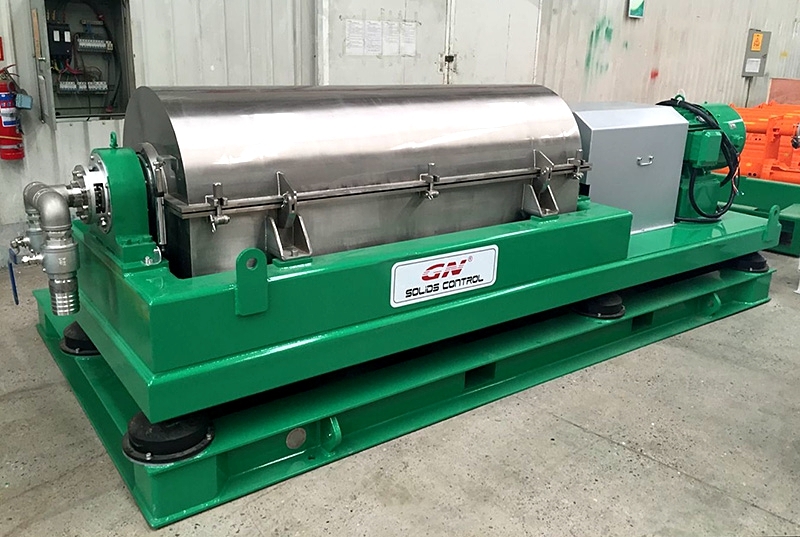 GN solids control’s oversized drum 30-inch GNLW764A horizontal screw centrifuge is sold to the Australian mining industry. This Australian customer ordered two sets of oversized drum 30-inch GNLW764A horizontal screw centrifuge. The oversized drum 30-inch GNLW764A horizontal snail The centrifuge is an Australian customer who has chosen to cooperate with a number of horizontal and horizontal centrifuge manufacturers at home and abroad. The oversized drum 30-inch GNLW764A horizontal screw centrifuge produced by GN solids control is widely used in oilfield waste treatment, mining industry and shield waste processing industry. Up to now, the oversized drum 30 inch GNLW764A horizontal screw centrifuge is used in various industries. There have been many successful use cases in the field, and customer evaluation is very high. During the on-site use, the oversized drum 30-inch GNLW764A horizontal screw centrifuge separates the material from the bentonite mud through efficient and continuous separation. After that, the mud water returns to the mud-water loop and is reused. The GNLW764A decanter centrifuge has a large diameter, a high aspect ratio and a separation factor of up to 3000G, which enables a larger throughput and discharges a clearer liquid. GN can provide a flocculation dosing system for chemistry according to customer requirements. The auxiliary decanter centrifuge separates the mud to obtain clean water that can be discharged. GNLW764A horizontal screw centrifuge speed, differential speed, liquid pool depth flexible adjustment to adjust the slag dry humidity. GN can produce various types and length-to-diameter ratio centrifuges to meet the needs of customers in various industries from small to large. Welcome customers to visit GN’s factory to visit and discuss cooperation.